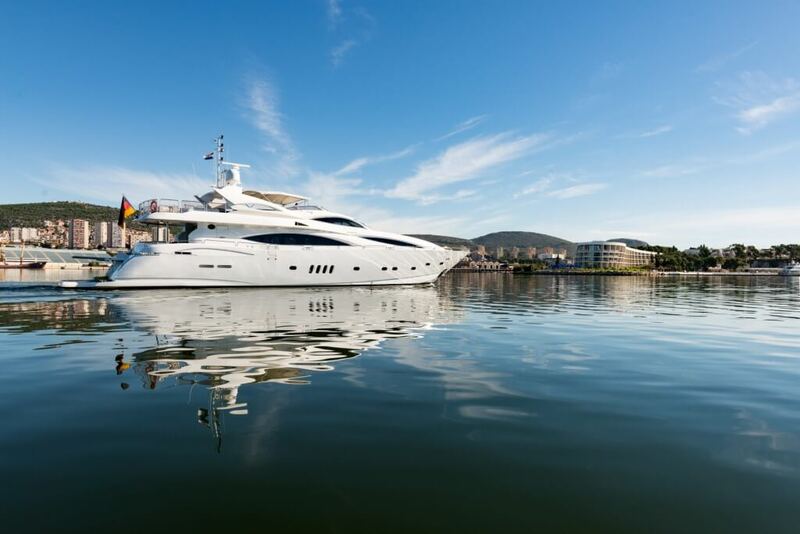 The “Sunseeker 105 Yacht” is an elegant motor yacht with superb handling , attractive styling, quality workmanship and rich equipment. 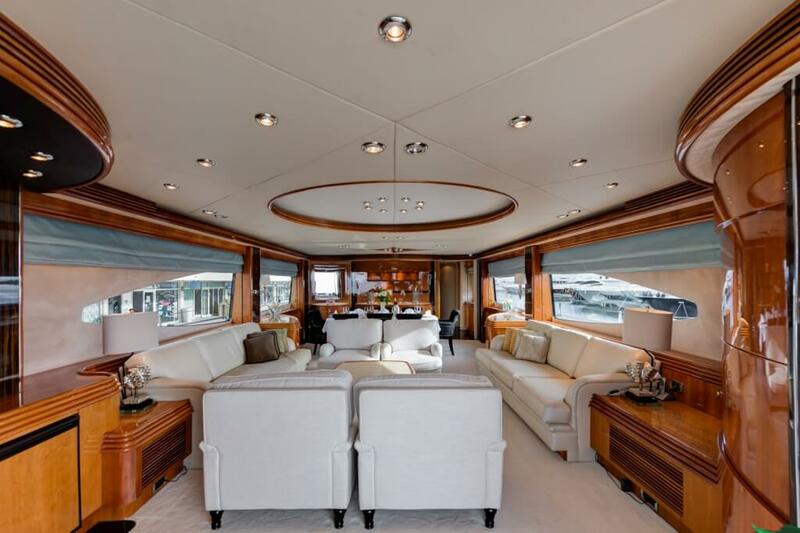 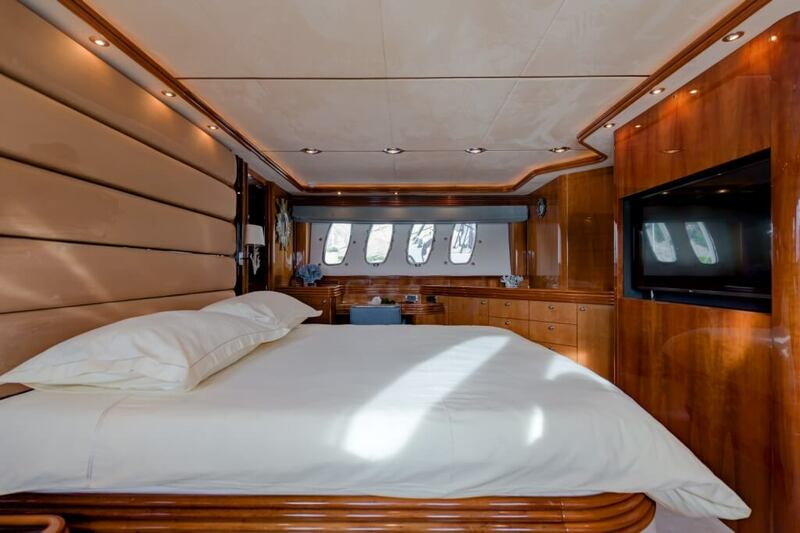 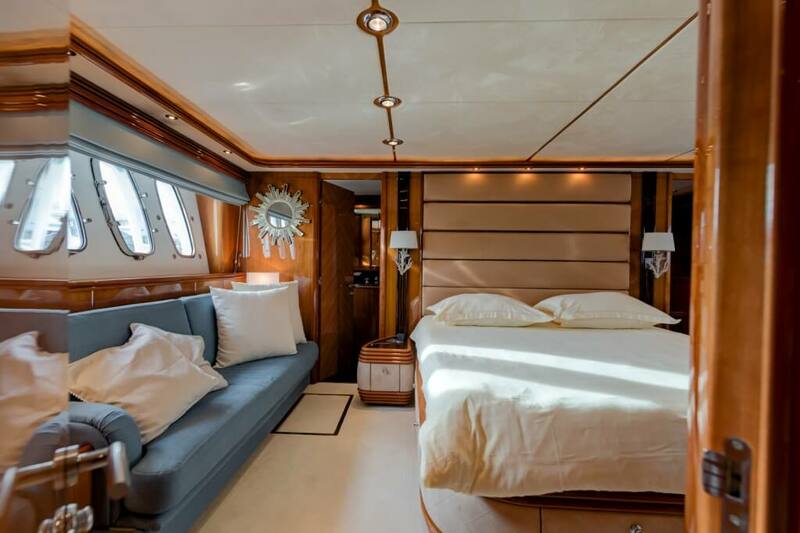 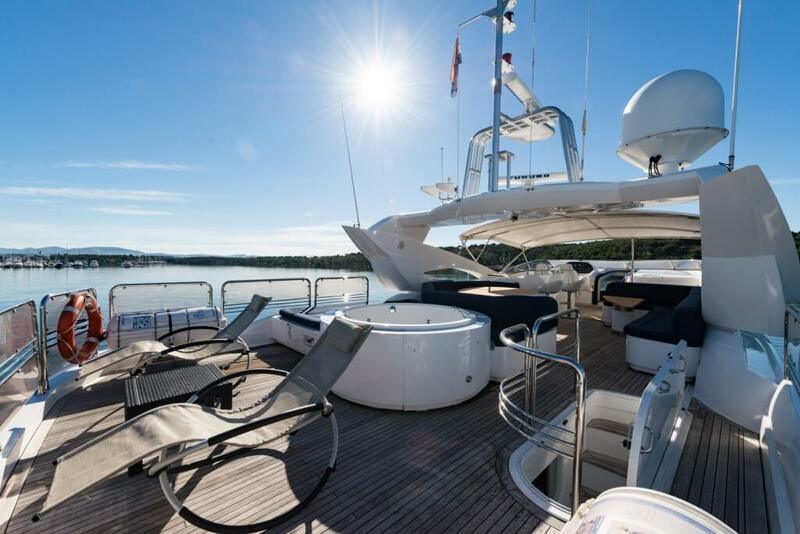 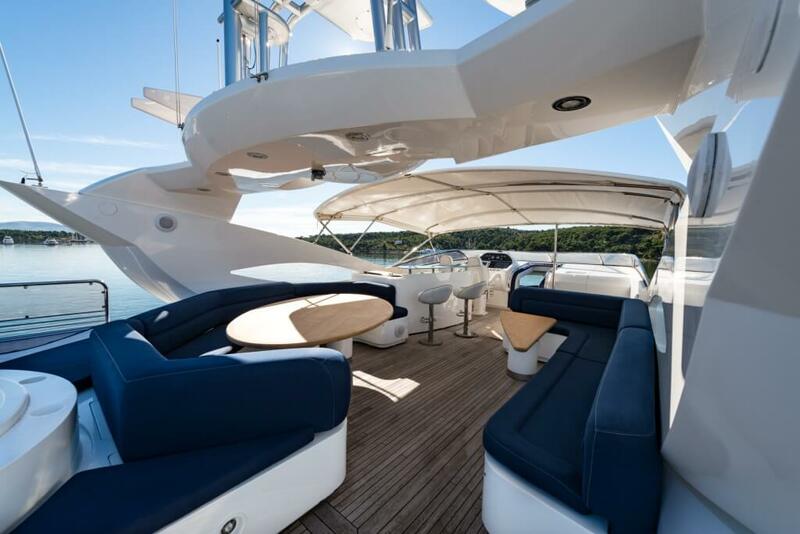 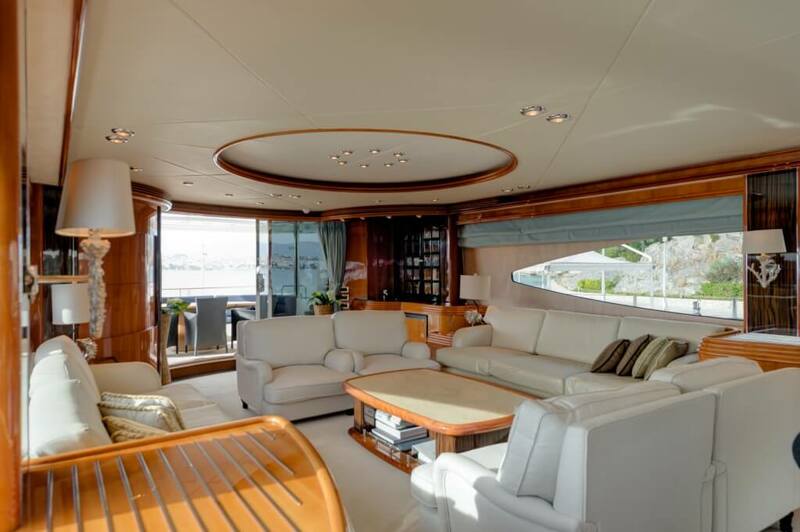 As an elegant motor yacht offers plenty of living space, enough space and correspondingly high comfort. 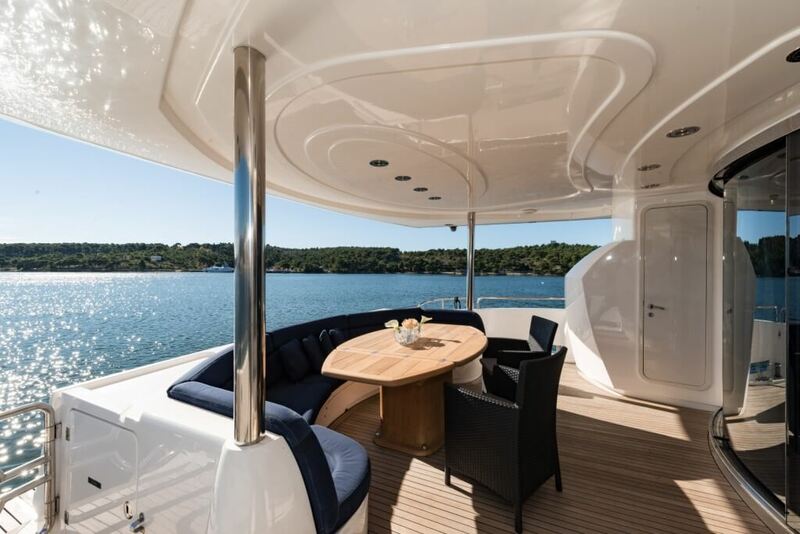 You can relax optional on the fly bridge, at the brow, in the whirlpool or in the seat on the back, and enjoy the sensational island panorama of Croatia. 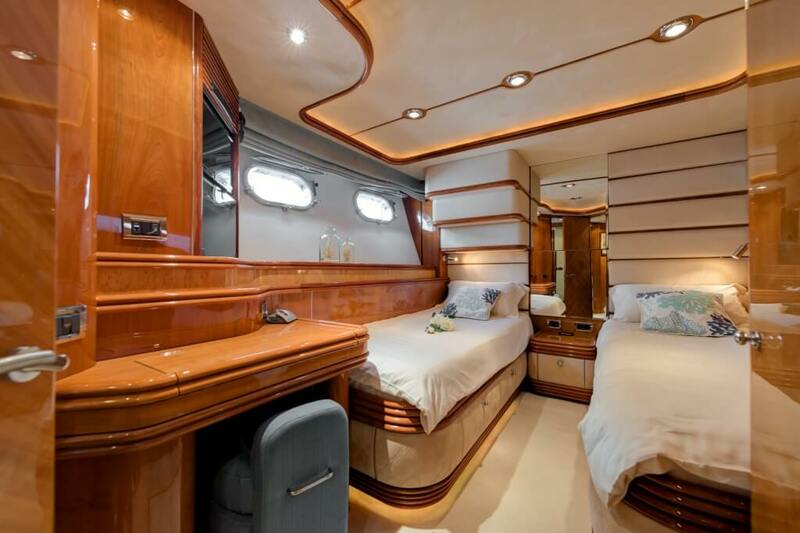 If you charter this exclusive motor yacht you have the decision about privacy, entertainment, sport, recovery and adventures.  In short you are your own tour-operator.